TORONTO, ON., (March 30, 2015) – The world’s first compact crossover sport utility vehicle (SUV) and the world’s first luxury crossover SUV are helping to bring advanced safety technology to the mass market – raising the bar and lowering the price. The move is a major stride towards Toyota’s vision of a mobility future that is safer and more convenient for everyone, bringing a package of automated driver-assist technologies normally confined only to super-luxury models closer to the mainstream. At separate press conferences Wednesday and Thursday at the New York Auto Show, Toyota will reveal its first-ever RAV4 Hybrid SUV, while Lexus unveils its all-new fourth-generation RX luxury crossover SUV. Both debuts will mark the arrival of new, multi-feature, integrated safety packages, each anchored by automated pre-collision braking and offered at a price dramatically below comparable systems across the auto industry. Toyota Safety Sense (TSS) and Lexus Safety System+ (LSS+) are designed to support the driver’s awareness, decision making and vehicle operation over a wide range of speeds. Packaged together in an integrated system, their features help address three key areas of accident protection: preventing or mitigating rear collisions, assisting drivers to keep within their lane, and enhancing road safety during night time driving. The systems are intended to address commonly occurring crash types according to traffic accident statistical analyses. First announced in Japan this past November, both packages reflect Toyota’s desire to make safety technology available to a wider range of new car buyers. 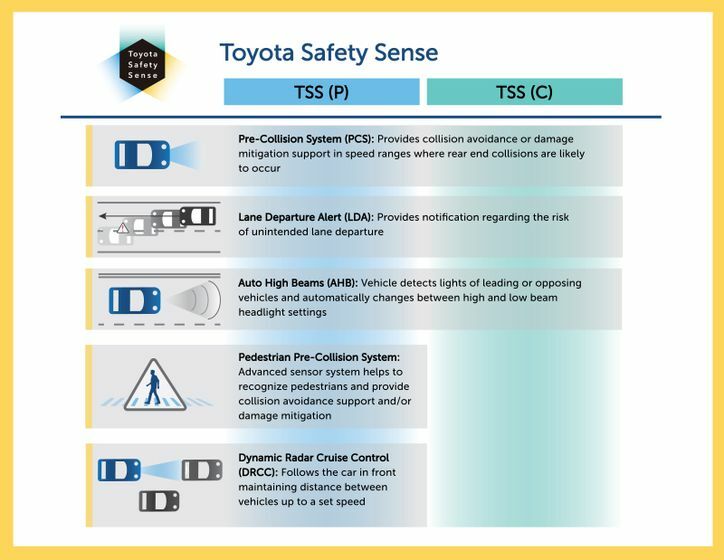 TSS will be offered in the form of two packages: Toyota Safety Sense C for compact cars and Toyota Safety Sense P for mid-sized and premium models will be available as an optional accessory for approximately $325 and $540, respectively – a price point unheard of for this array of safety technologies. Lexus Safety System+ aims to further expand the use of these systems across luxury models, integrating highly-effective active safety features into an optional accessory priced from approximately $540 to $690. Toyota believes that the ultimate goal of a society that values mobility should be the elimination of traffic fatalities and injuries. Advanced active safety technologies can have a profound effect on automotive safety. Toyota is proud to expand the availability of these technologies – and to do so at an excellent value proposition for our customers as well. TSS will initially be available on the RAV4 and Avalon, and two additional models which will be announced later this year. LSS+ will initially be available on RX, and four additional models to be announced later this year. Both packages will provide an added layer of safety capability on top of Toyota’s existing Star Safety System, a suite of six key safety technologies that are included as standard on every new vehicle. The Toyota Safety Sense C package features three proprietary active safety technologies, and combines a camera and laser radar for outstanding performance and reliability. The package can help prevent or mitigate collisions in a wide range of vehicle speeds. PCS uses a camera and laser radar to detect objects ahead of the vehicle. When the system determines there is a possibility of collision it prompts the driver to brake with an audio and visual alert. If the driver notices the hazard and brakes, the system provides additional braking force. If the driver fails to brake in a set time, the system automatically applies the brakes, reducing speed by approximately 30 km/h *1 in order to prevent or mitigate the collision. The operational range of PCS covers speeds at which at least 80 percent of rear-end collisions occur (i.e. relative speeds of between approximately 10–80 km/h). LDA uses a camera to detect white and yellow lane markings. If the system determines that the vehicle is starting to deviate from the lane, LDA alerts the driver with an audio and visual alert. AHB helps ensure excellent forward visibility during nighttime driving. It uses a camera to detect the headlights of oncoming vehicles and the tail lights of vehicles ahead, and then automatically switches between high beams and low beams so as not to blind other drivers. Toyota Safety Sense P combines a camera and millimeter-wave radar for outstanding performance and reliability. 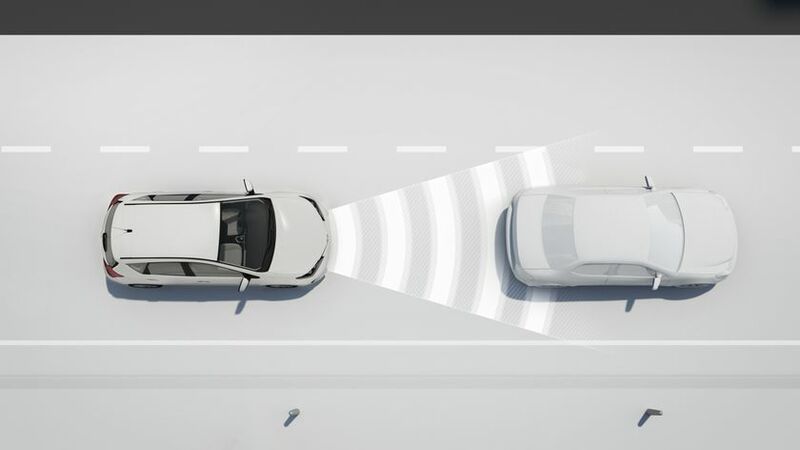 In addition to the three active safety technologies included in the Toyota Safety Sense C package, the Pre-collision System offered with this package also includes a pedestrian detection function. In addition, Toyota Safety Sense P offers Radar Cruise Control functionality (see below). This system uses millimeter-wave radar and a camera to help detect pedestrians in certain conditions in addition to vehicles. 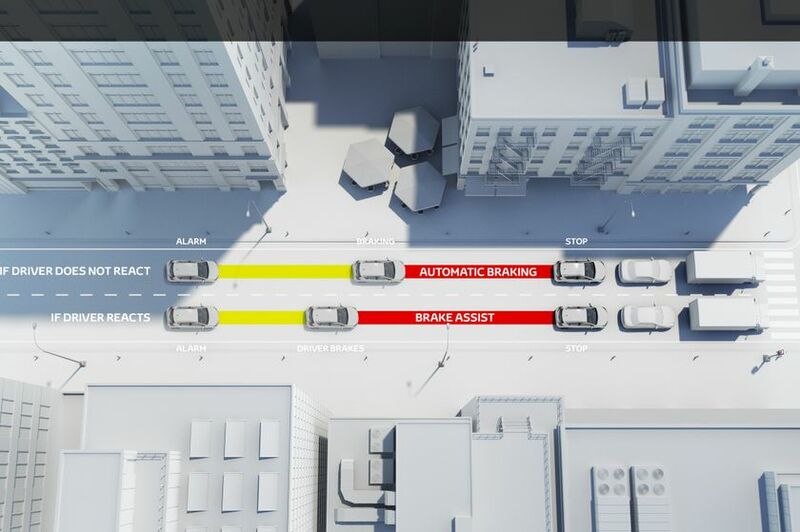 To help prevent or mitigate collisions, the system activates an audio and visual alert in addition to brake assist, followed by automated braking if the driver does not brake in a set time. Automated braking operates at relative speeds of between 10–80 km/h for potential collisions with pedestrians, and can reduce speed by approximately 30 km/h*1. For potential collisions with vehicles, the enhanced PCS system included with the Toyota Safety Sense P package operates at relative speeds of between 10 km/h and the vehicle's top speed, reducing speed by approximately 40 km/h*2. On highways, Radar Cruise Control uses millimeter-wave radar to detect preceding vehicles and determine their speed. It then is designed to adjust vehicle speed (within a set range) to help maintain a present distance between vehicles. By using a forward-facing camera and millimeter-wave radar to monitor vehicles merging into or out of the lane, Radar Cruise Control helps maintain smooth acceleration and deceleration while driving. Lexus Safety System + integrates several of Lexus’ existing active safety technologies: under certain conditions the Pre-Collision System (PCS) helps prevent and mitigate collisions; Lane Departure Alert (LDA) helps prevent vehicles from departing from their lanes; and Automatic High Beam (AHB) helps ensure enhanced forward visibility during nighttime driving. As part of a multi-faceted approach to active safety, the Lexus Safety System + package combines millimeter-wave radar with a camera, achieving high reliability and performance. This system uses millimeter-wave radar and a camera to detect pedestrians in addition to vehicles. 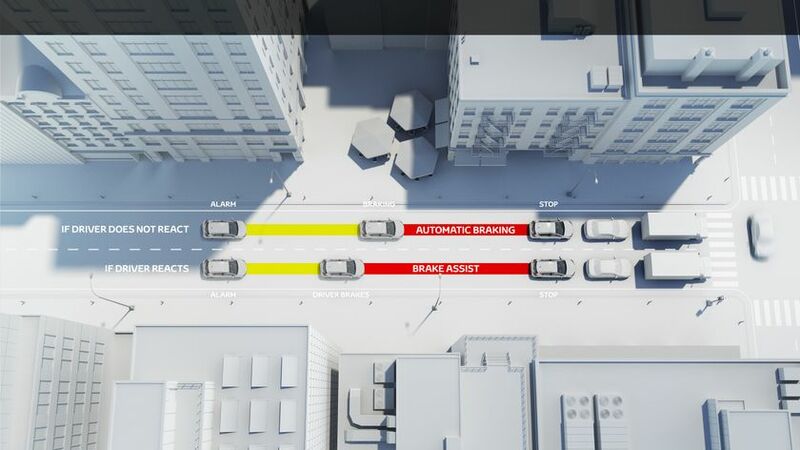 To help prevent or mitigate collisions, the system activates an audio and visual alert in addition to brake assist, followed by automated braking if the driver does not brake in time. Automated braking operates at relative speeds of between 10-80 km/h for potential collisions with pedestrians, and can reduce speed by approximately 30 km/h*1. For potential collisions with vehicles, the PCS system operates at relative speeds of between 10 km/h and the vehicle's top speed, reducing speed by approximately 40 km/h*2. LDA uses a camera to detect white and yellow lane markings. If the vehicle starts to deviate from a lane, LDA alerts the driver with an audio-visual alert and steering wheel vibration. Some vehicles are also equipped with Lane Keep Assist, which controls power steering to help make it easier for the driver to remain within lane markings. AHB helps ensure excellent forward visibility during nighttime driving. 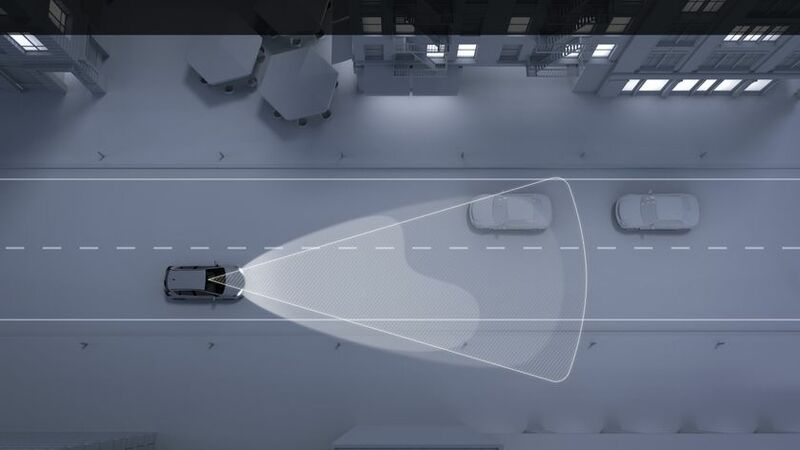 It uses a camera to detect the headlights of oncoming vehicles and the tail lights of vehicles ahead, and then automatically switches between high beams and low beams so as not to dazzle other drivers. On highways, Radar Cruise Control uses millimeter-wave radar to detect preceding vehicles and determine their speed. It then adjusts vehicle speed (within a set range) to ensure that there is a safe distance between vehicles. By using a forward-facing camera and millimeter-wave radar to monitor vehicles moving into or out of the lane, Radar Cruise Control helps maintain smooth acceleration and deceleration while driving. *1 Results achieved during testing using a vehicle travelling at 30 km/h and a stationary vehicle / pedestrian; system operation depends on driving environment (including road and weather) and vehicle circumstances. *2 Results achieved during testing using a vehicle travelling at 40 km/h and a stationary vehicle; system operation depends on driving environment (including road and weather) and vehicle circumstances. Drivers should always be responsible for their own safe driving. Please always pay attention to your surroundings and drive safely. 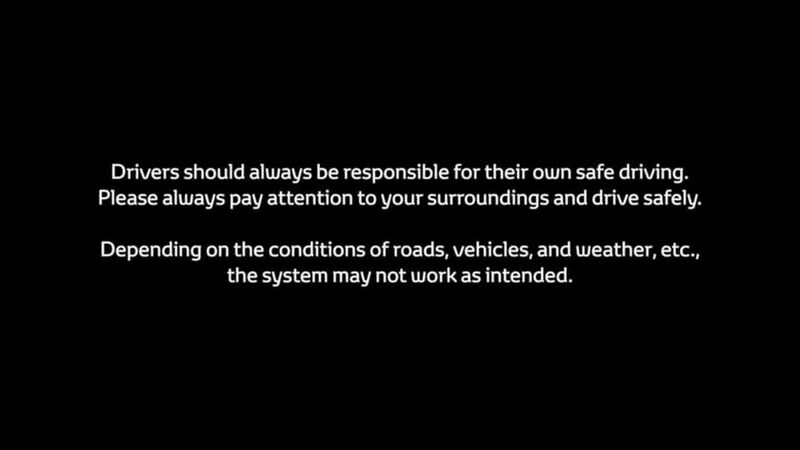 Depending on the conditions of roads, vehicles, and weather, etc., the system(s) may not work as intended.